Rushina Munshaw Ghildiyal: Lets celebrate more Indian Food Observance Days - here are 10 suggestions from me! 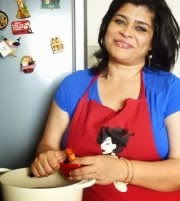 Culinary Expert, Writer & Consultant I write about food history and stories most often around ingredients, cuisines, and the people who cook them. 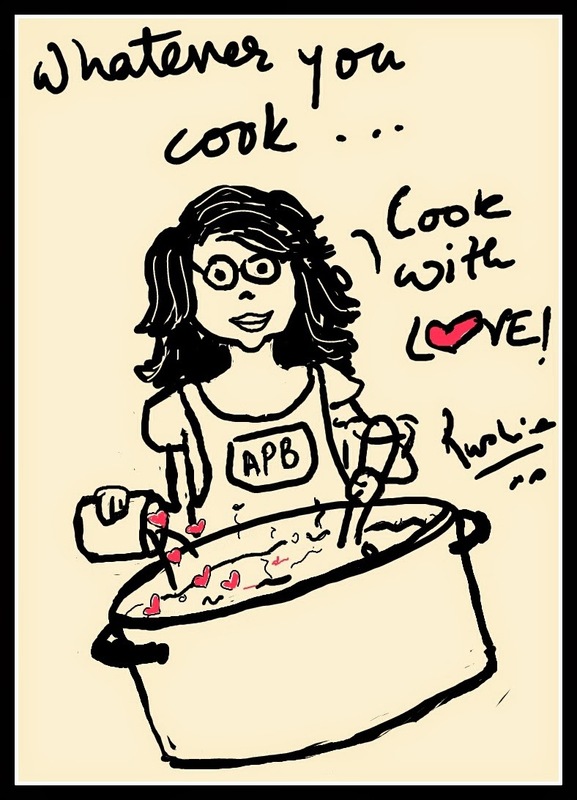 I also own and run A Perfect Bite Consulting and @APBCookStudio through which I curate culinary experience and help F&B brands and businesses connect with their consumers. Lets celebrate more Indian Food Observance Days - here are 10 suggestions from me! Just before Macaroon Day my husband commented on how we celebrate all these food days but there are so few Indian themed days. It got me thinking… and googling. I discovered the concept of Observance days and the many, many Food Observance days social media has been amplifying. Special Observance days are usually the premise of governments or agencies of countries. In the US – which is a leader in this area - the President authorizes days. Other countries also have government driven festivals, Good France day was recently celebrated globally on 21 March. Food observance days were typically introduced by government bodies, trade organizations or PR firms as marketing moves to promote specific ingredients or foods and raise their popularity. And then thanks to the Internet the concept took on a whole new spin in 2011 when two bloggers declared February 5th to be Worldwide Nutella Day. Suddenly a whole new world of delicious possibilities were available! Today we have at least 1 if not more food days for every day of the year! From Apple pie to Fried Chicken, Fresh Spinach to Bologna, Caviar to Junk Food, there are days for everything! Zuchinni bread, Lasagna, Watermelon to peanut, caramel to sriracha, Orange Juice to Beer! Deviled Eggs, Cotton Candy, Popcorn, Corn Dogs, S-Mores, Fortune Cookies Nacho’s all have days. Currently there are 3 days dedicated to Indian foods, Undhiyu Day on 14th Jan, Idli day on 30 March and a World Samosa Day that for some strange reason is on February 29 (which means it can technically be celebrated only in leap years!). Good or bad? You decide. Personally, I love the idea. Of course some food days seem over the top. But so what? There is so much nonsense and negativity out there in terms of information that we all could do with something delicious to look forward to. And at worst, these days make us stop to think about something we love to eat or someone that cooks for us, something we can savour... and it makes us smile. And I think that’s worth a bit of effort. Of course food observance days might not seem important in the larger scheme of things but as someone in the food industry I do wonder why we cannot have more Indian food observance days. After all we are the country whose national pastime is food – the eating and the talking about - of it, isn’t it? And then on 20 March, as I prepared to celebrate Macaroon Day I woke up to Twitter resonating over #PakhalaDibasa (Universal Pakhala Day) being celebrated by Odias worldwide. Pakhala is a dish of cooked rice washed or fermented in water, kind of like a conjee, accompanied by assorted condiments is a popular summer food in Odia cuisine. It has been in existence from the 10 Century AD if not earlier. On the day Odia people all over would eat pakhala to mark the Spring Equinox (20-21) post which the summer sets in and the diet changes with the season. So if everything under the sun has a day, then why not Indian food? Pakhala Dibasa is a great example. A community came together, to celebrate a much-loved food via modern communication systems. As a result people all over the world cooked Pakhala, remembering its seasonal importance and perhaps also noting that summer was setting in and diets needed to change. Additionally, a whole lot of non Odias found out about an heirloom dish of our country! Our traditional culinary practices evolved and transformed over time as our cuisine evolved. Geography, history, religion, rituals all played their part in its evolution. And our ancestors have codified many aspects of it. Ingredients, their uses, cooking methods, food combinations, a seasonal food calendar, Indian dietetics, and dinning etiquette have all been built into a system of traditional practices. And behind every practice is a sound scientific reason for its existence that we are perhaps not aware off. Lets celebrate more Indian Food Observance days to promote & support traditional Indian ingredients, dishes, food-ways and recipes. Not just to celebrate Indian foods, but also because it a great way for us to follow the traditional food calender Indian cuisine has. So many of our food traditions are being lost, with us moving away from home, living busier lives and finding more convenient solutions. In the past, elders in our families and communities kept these traditions alive by ensuring they were observed. Maybe we do not have that guidance or we live away from home and do not have people to celebrate with. But that’s where the internet and its ability to make the world come closer kicks in. It is with all humility that I present the following days we can start with celebrating. These much loved Indian foods we can collectively celebrate mostly align with the traditional seasonal food calendar - of local and seasonal eating, drying and preserving foods and so much more. Some however are on this list for the fact that they are much loved by all of us. I will say here that I have deliberately left out festivals because they are usually already celebrated and community based. The foods on this list are loved regardless of any association. I have also left many things out, so others in our food fraternity may take them on, like we must have a #ButterChickenDay and I am hoping Chef Saransh Goila will carry the baton on that forward! Hopefully others amongst us will come up with foods we should celebrate as well! To mark the Mango pickling season in India. We have as many Mango pickles as we have dialects in our country (if not more) This day celebrates them! Papads and Badis were dried in the hot months of May to use through the year. This day will celebrate the variety of papads and badis we make in the country. Summers are when communities all over the country dry and grind the spices and spice mixes that give their community cuisines their characteristic identity. On this day we will remember to celebrate the unity in our diversity by making our Masalas. Biryani is a national obsession in India. We don’t need a single day for something we can all eat at any time, but something so well loved deserves a day of its own. Because, chai and pakoras with the rain pouring down is a monsoon phenomenon that any Indian will subscribe to. We celebrate this in the height of the monsoon with our favourite combination of pakodas, vadas and fries with hot steaming chai! Chutney! Just the name makes the mouth water. We have as many chutneys as there are cooks in this country. Here is a day to celebrate our favourite chutneys! This is a personal favourite. Laddus are to India what cookies are to the world. When Indian moms and grandmoms want to make something with love they make laddus. For prasad, for homemade treats, for kids going away from home, for pregnant daughters. From Atta, to Maghaz to Til, to Gaund, there is a laddu for every reason and every season, all made with love and desi ghee! We celebrate Laddus and those who make them for us! Celebrating home food for every Indian! Mutton Curry is quintessentially Indian because we are the only ones that call goat-meat mutton. Comforting, warming, slow cooked mutton curry with steaming hot rice is something we truly savour in the winter. Here is a day to eat Mutton Curry in all its avatars! Our grandparents ate all sorts of grains. Millets like jowar (sorghum), ragi (finger millet), korra (foxtail millet), arke (kodo millet), sama (little millet), bajra (pearl millet), chena/barr (proso millet) and sanwa (barnyard millet) are coarse grains that were part of our traditional diet, until rice and wheat caused their consumption to be reduced. We need to embrace the goodness of millets and food diversity, again. On Millet Day let us celebrate this fabulous traditional food. We are lucky to have one of the richest culinary heritages in the world. And it would be so good if we could keep it alive and celebrate it. Read more about Pakhala in this beautiful post - My Beloved Pakhala on the blog Lost Recipes of Odisha by Swetapadma Satpathy. Wow, Rushina, hats off to you. I would love to write about these theme based days alongwith recipes. Thanks for this wonderful post and suggestions! YOu can definitely count me in. I am noting these days! How about a stuff roti /stuffed things day? I am not calling it a maratha day, because we have many stuffed Roti's like puran poli,tilachi/sesame one also in South they stuff coconut and jaggery mixture in the roti.whats your take on this? Thanks for great information,Really this post is interesting,I always appreciate such type of posts, I think the work done by the author is really great.I love traditional indian foods.